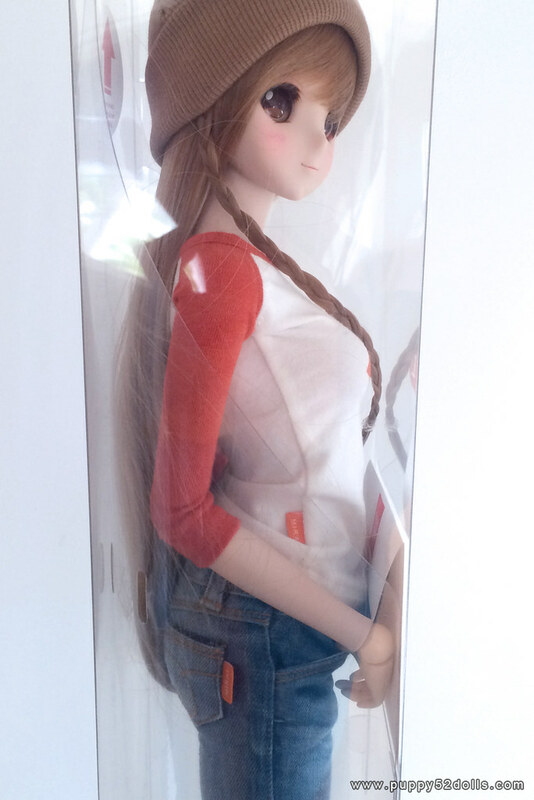 An exciting new addition to my doll family arrived! 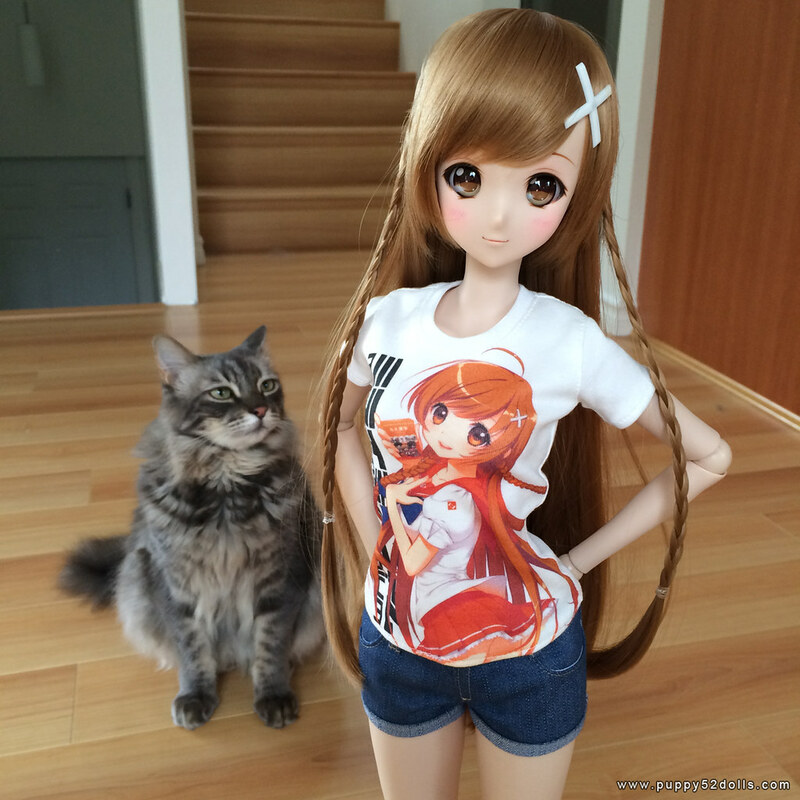 As some of you have already had a sneak peek over instagram and twitter! It was really difficult not to talk about her when she was shipped, I did not want to jinx it and cause a delay! 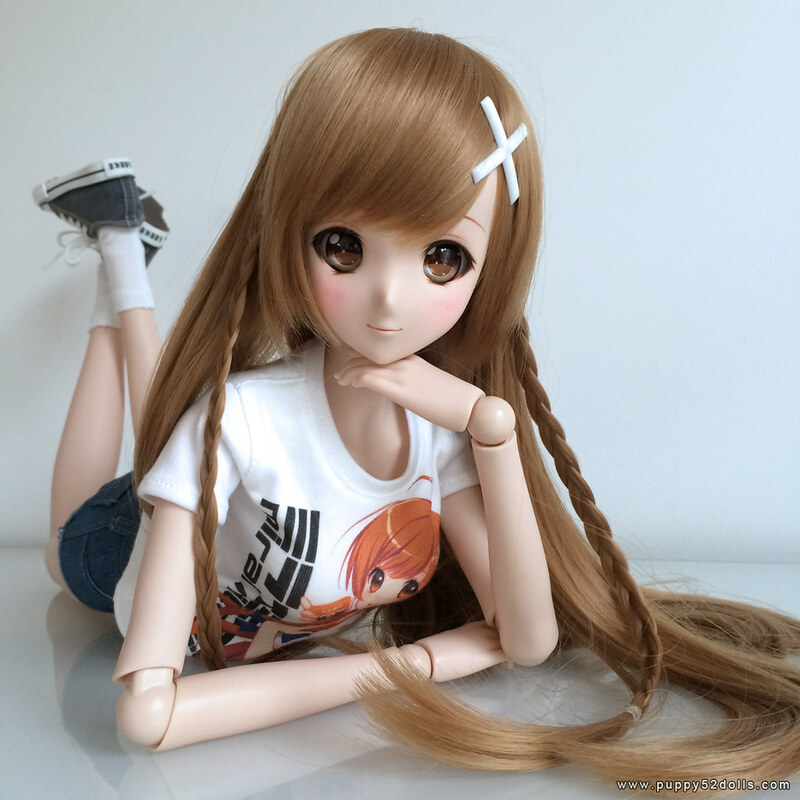 She is the Smart Doll 001 : Mirai Suenaga Manual Version or SDMV for short. 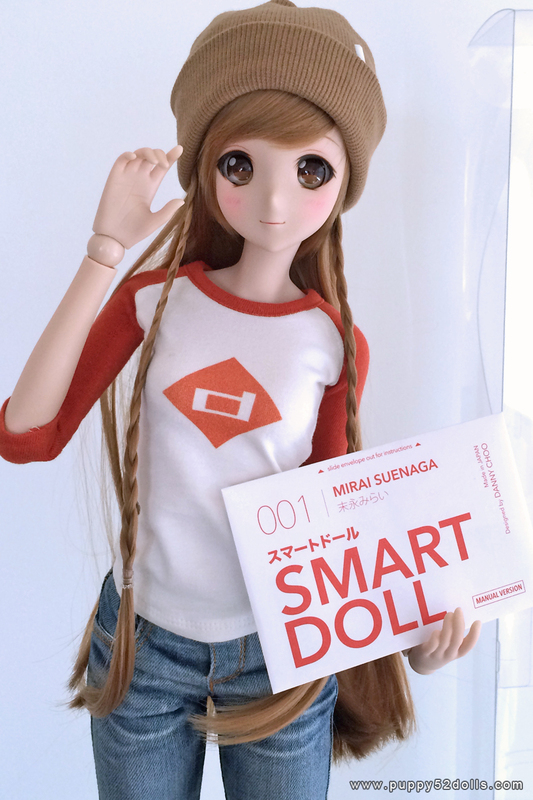 Read more about / where to order at smartdoll.jp, I recommend you read through everything to know what you’re getting yourself into haha! 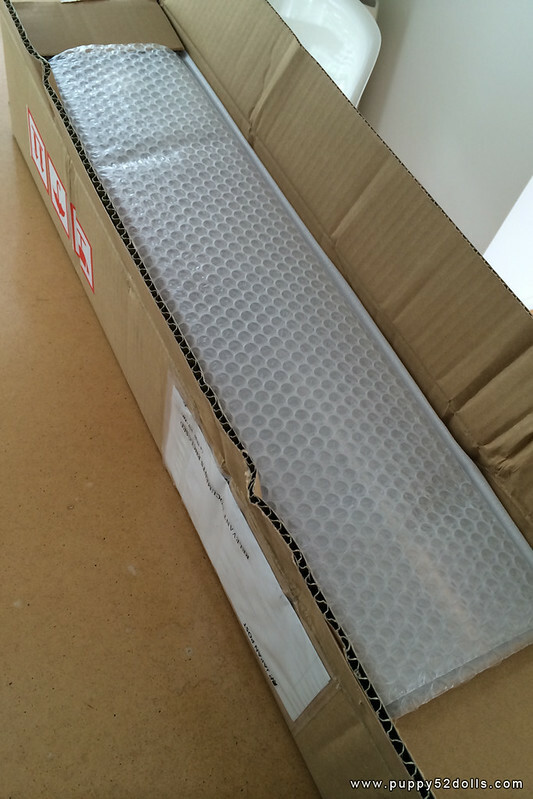 Thankfully Bubble and foam wrap is protecting the clear box inside! Mirai’s left hand had moved out of the pocket and her thumb was rubbing on the denim, which caused a temporary stain. 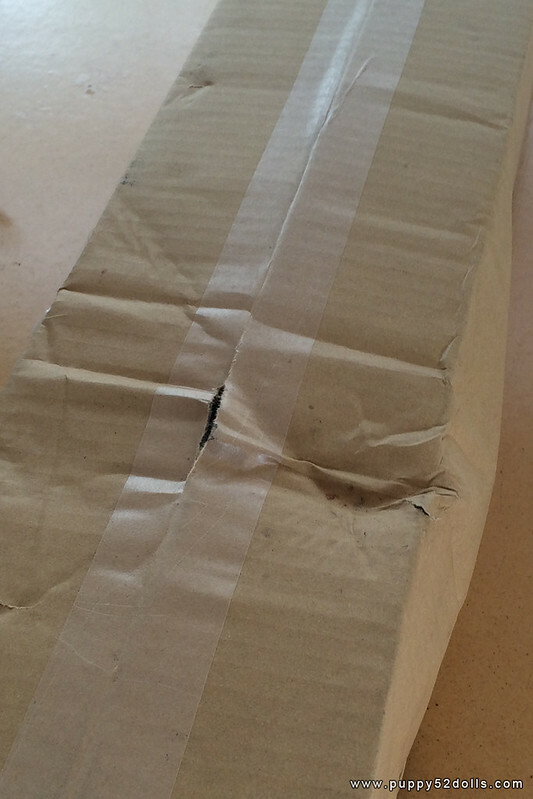 But that “stain” disappeared over the afternoon, I did not even need to deliberately clean it. 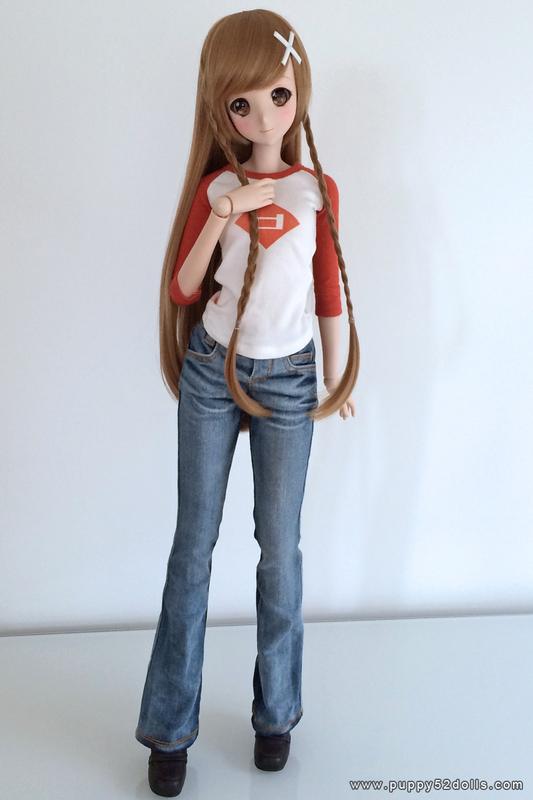 The bleached jeans is really nice quality and should not stain (Soft vinyl have a tendency to stain and it’s often a hit and miss, so it is recommended you do not put Mirai in dark clothing if possible) Danny recommends using paint thinner to remove stains or dirt. 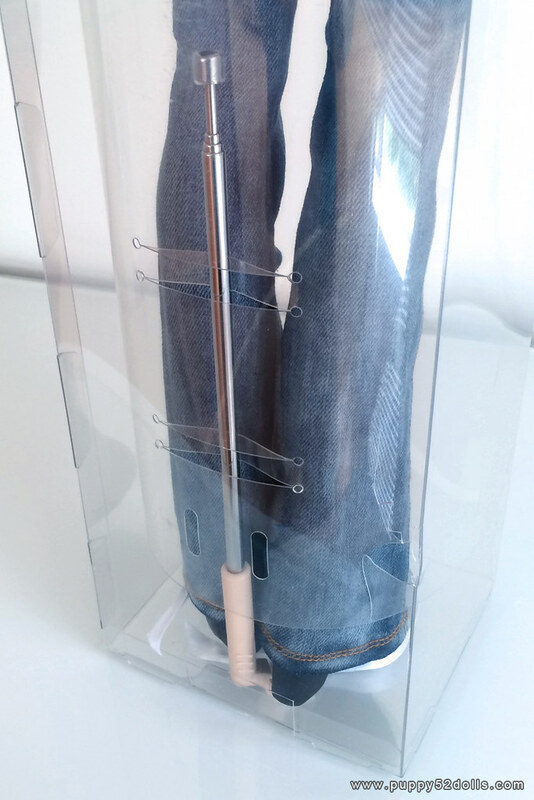 For me I would use gentle soap and clean off with a damp paper towel too. So I’m sure some doll collectors are also curious to know if a Dollfie Dream (by Volks Japan) head can fit onto the smart doll (SDMV) body? 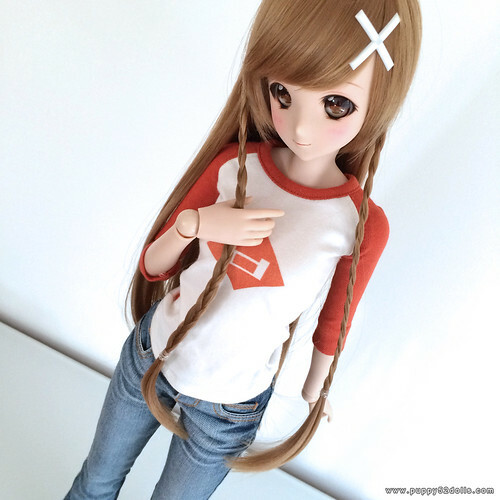 The skin tone is only ever so slightly different – Volks normal skin has a slight hint of yellow, while Mirai SDMV body is slightly pink-ish. 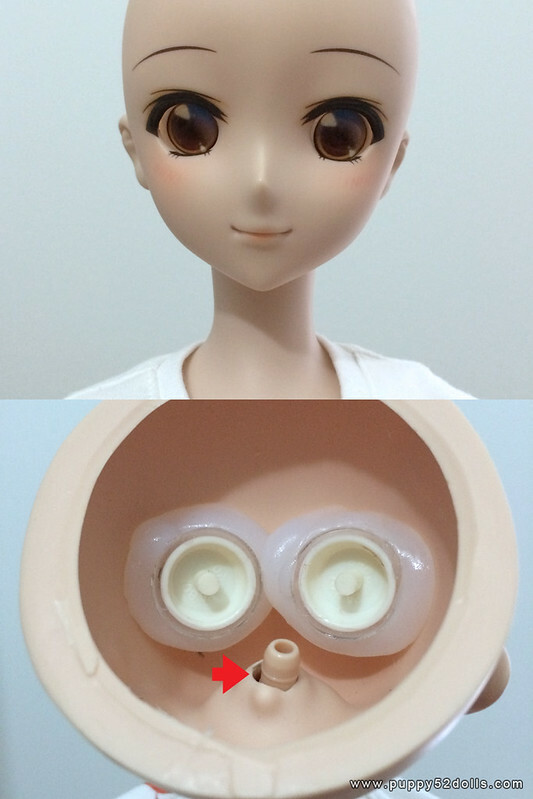 On smartdoll.jp, there’s a “hack” on the neck joint being mentioned, by using a 4mm wide clear rubber tube from your local DIY shop. On Dollfie Dream DDH06 head, my current custom head’s hole is quite small, but the vinyl is softer in newer Dollfie Dream heads from recent years, so I was able to stick it on without issue. 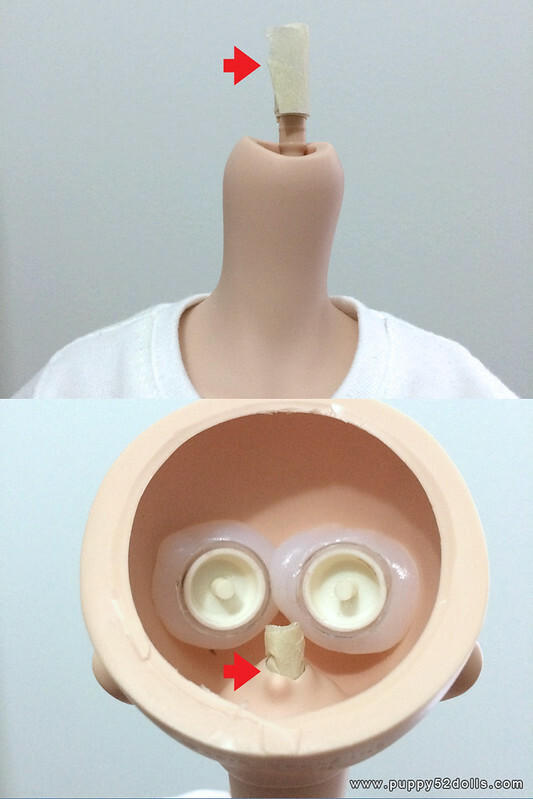 The Dollfie Dream head is not very secure as the Volks neck joint is a bit bigger and longer, compared to the shorter and smaller SDMV neck joint. 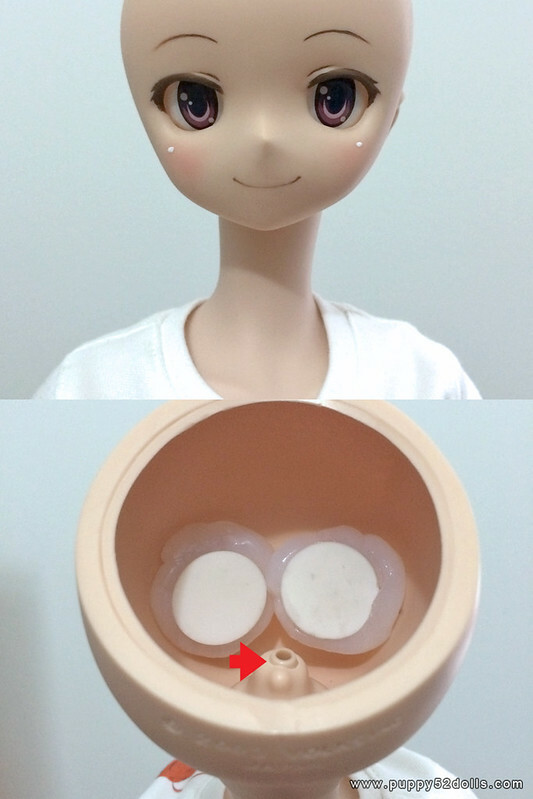 Here’s my Dollfie Dream Yuki Morikawa head (Aki chan), the hole of her neck is a bit bigger than most of my other Dollfie Dreams, so even on a Volks body it’s quite loose. 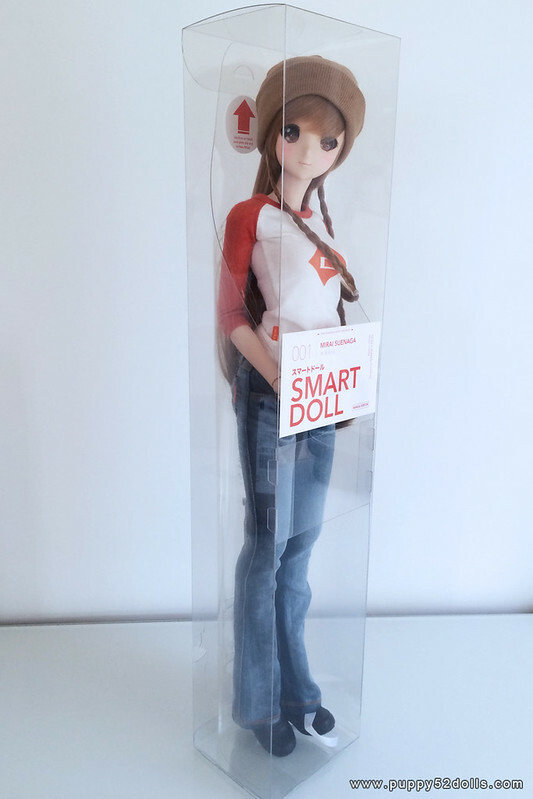 So she will benefit from the clear tube hack. I don’t have the clear tube at the moment, but I do have some masking tape at hand. 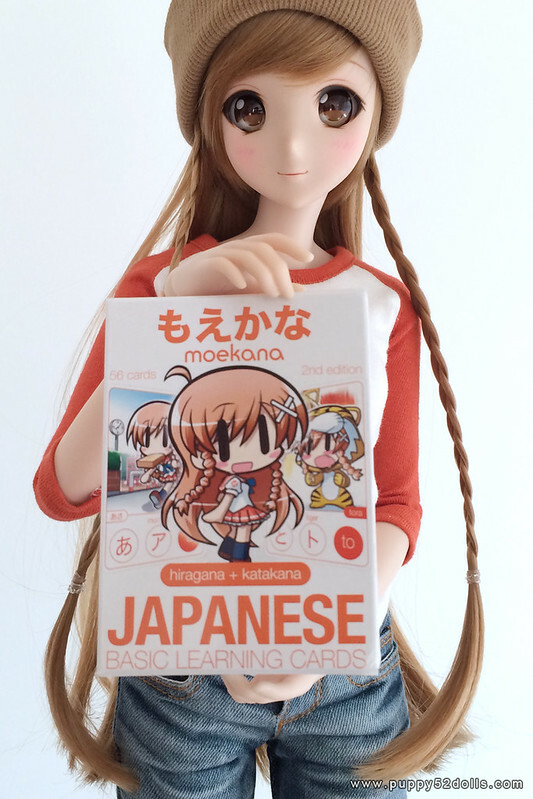 I also heard that the Tamiya masking tape is a great product which does not leave residue on the vinyl. 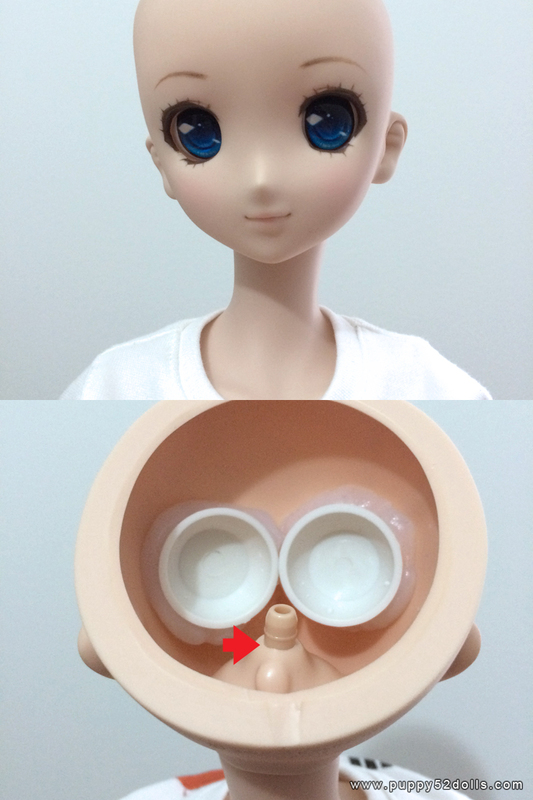 Below is the temporary masking tape hack, and Dollfie Dream Yuki Morikawa head placed into position. 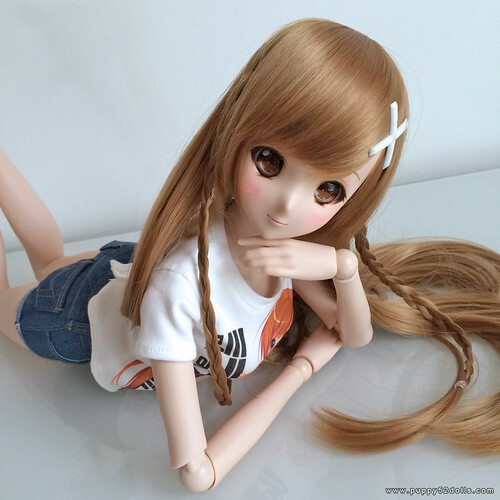 How can I get one smart doll for my daughter? 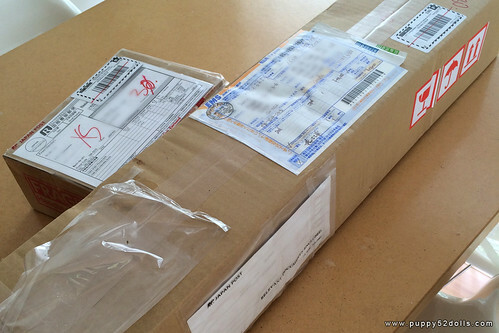 Do you ship in Greece?? 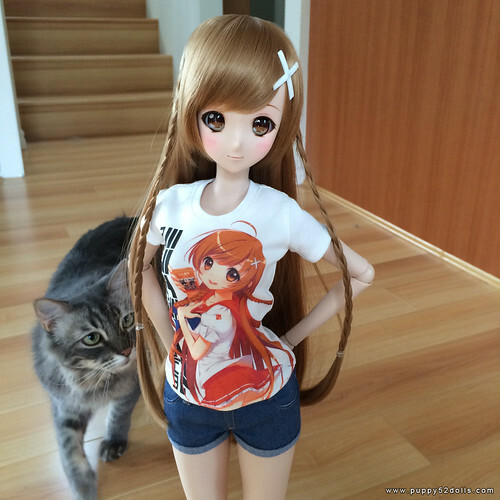 How can I buy a smart doll for my daughter or order one.